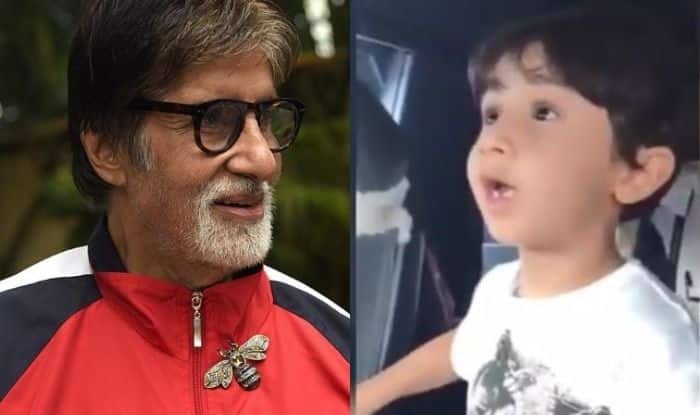 Big B shared a video in which a kid can be seen interacting with the pilot. Veteran actor Amitabh Bachchan is quite active on social media. He keeps sharing his pictures along with some interesting videos. Recently, he posted a video in which a kid can be seen talking to the pilot about the airplane. It was doing the rounds on the internet and caught Big B’s attention. The latter looked impressed with the kid’s knowledge as he thought that he is not real. This is not the first time as the actor has many times shared viral videos on his Instagram handle. On the work front, Amitabh will next be seen in Badla, a movie directed by Sujoy Ghosh and which will also star Taapsee Pannu. He will also be starring in Brahmastra, a fantasy film written and directed by Ayan Mukerji.